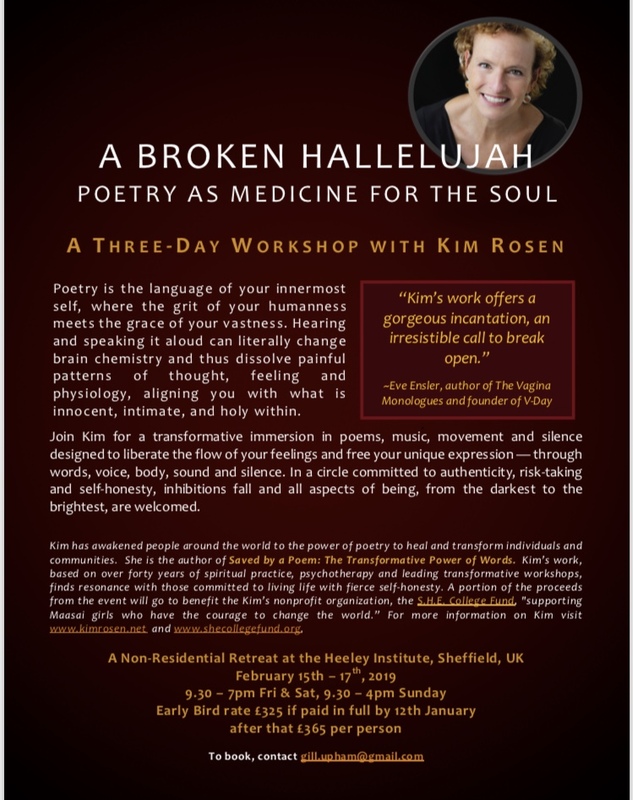 I am absolutley thrilled to announce that Kim Rosen will be back in Sheffield to offer a three day workshop again in February. I have worked with Kim for the last 5 years and it’s no exaggeration to say it has been life changing and so much of her work informs my own. I highly recommmend her! All information attached below and bookings are being taken via gill.upham@gmail.com. How do we experience Angels? What names do we give for those presences in our lives that we cannot see but can on some level feel? To end the year, we have a very special candlelit Poetry Dive on Angels. 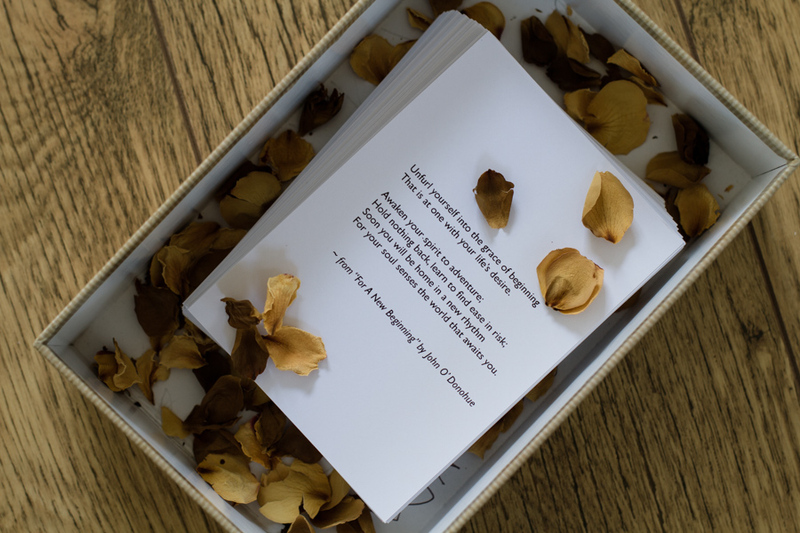 The poems will explore encounters with that which is beyond and a part of the mystery of our lives and will also explore, the very varied ways in which poets depict and refer to angels. I am delighted to welcome guest speaker, John Hillman my Teacher, Guide and Friend who first introduced me to poetry. We hope this will be a unique and atmospheric dive to enliven your senses and nourish your being. Advanced booking click here to book £16 per person. There is one assisted place at £8 if anyone is struggling with money and would like a reduction please email me info@carlymountain.com. Join me as we cross the threshold of summer into the dance of your inner fire and moon, the yin and yang, shiva and shakti? By feeling these aspects within us both the dance of their harmony or disharmony and to feel it consciously, welcoming it all, is one doorway into our life full-ness. 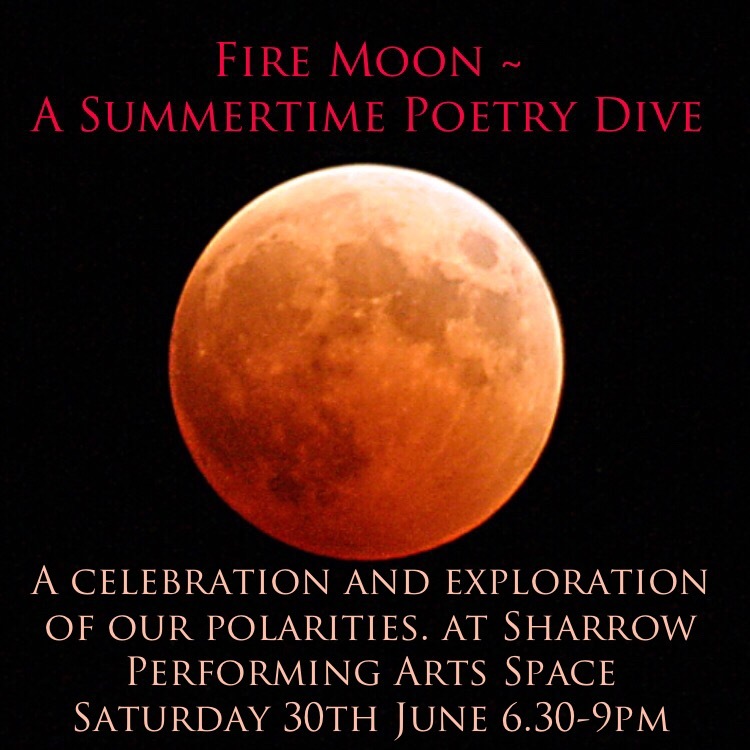 Using poetry, dance, voice, writing and good company we will follow the flow of the dive to explore the union and relationship of opposites and see what unfolds…. So far since I have been honing the craft of these events all the Poetry Dives I have held have been donation based in aid of charity. Unfortunately, that is not sustainable forever and so from this dive onwards I will be charging for dives at a starting price of £15. However, to keep it as inclusive as possible there will be 2 reduced price places per dive (£8) for anyone who is struggling to afford to come. If you wish to take advantage of this offer please email me info@carlymountain.com. 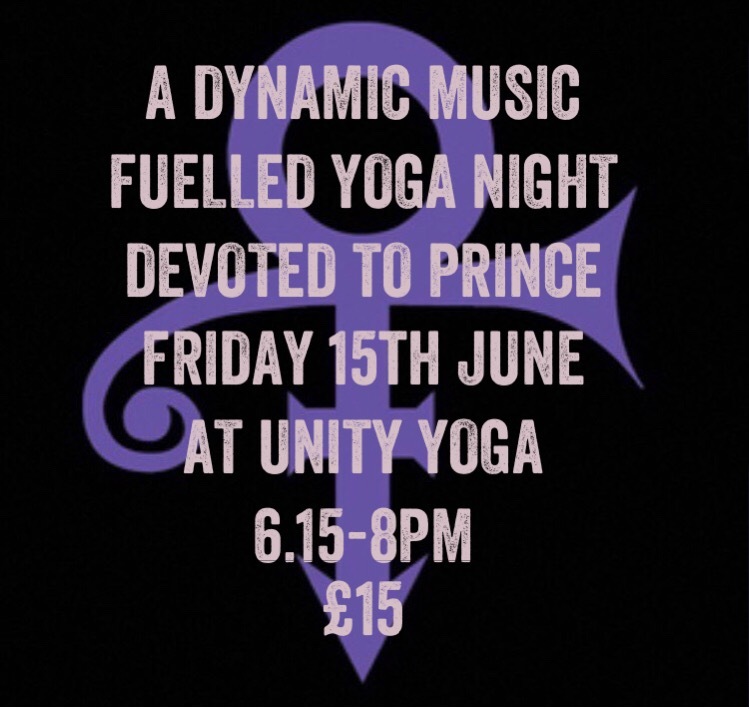 Join Carly for this fluid, moving yoga sequence to a purely Prince soundtrack. Includes deep lunges, rolls and yoga postures both conventional and unique. Finishing with a free dance finale to your favourite Prince tracks. I enjoyed teaching this workshop so much earlier this year I am offering it again. This time at Yoga Kula in Leeds you can book here. So come and nourish yourself with an afternoon of heart lead hatha flow yoga, poetry and yoga nidra. Both yoga and poetry can be practices of intimacy which can lead us into the unknown or unheard realms of our being. When we uncover these less familiar aspects of ourselves we can start to feel and re-member them as a part of us. In this workshop we will dive into the heart center as the doorway to this listening. We will work with a fluid yoga sequence that moves from the heart into relationship with the whole body. Inviting us to open and close, reach out and draw inwards, exploring the landscapes of the heart and the wisdom held within. So often yoga workshops prioritise opening the heart, but there is a maturity in recognising that the close is equally as valuable as the open. This sequence lends itself to both of these polarities the reaching out and the turning inwards as well. The sequence includes balances, backbends, forward bends and twists and is combined with a beautiful soundscape to evoke your emotional and physical bodies. Thereby inviting you to feel how they interweave into expansion and return until eventually winding down to a heart lead yoga nidra to finish. Join me for this springtime poetry dive. Spring is a time for burgeoning life and also the fragility of newness. Seasonal change can bring such a mixture of feelings and experiences both within and externally. This dive will give time to turn towards whatever is unfurling within you in a shared and supportive circle. This is a donation based evening and all profits will be donated to Mums In Need a local domestic abuse organisation which supports mums who have left emotionally/mentally abusive relationships that want to rebuild their lives. This is a great organisation and I would be grateful for any donations which we can pass onto them to support their valuable work. Pre booking essentail to book please email info@carlymountain.com. Hope to see you there! I am excited to be speaking some of my own poetry at Verse Matters this Wednesday 7th March at the Theatre Deli Sheffield. Verse Matters is an intersectional feminist arts collective based in Sheffield, founded by Rachel Bower. Verse Matters runs events at The Moor Theatre Deli in Sheffield and provides a supportive space for poetry, spoken word, storytelling, music and comedy, showcasing the work of talented people in a friendly, safe environment. Each event has a mix of experienced and new performers. This is a special Verse Matters in collaboration with SHE Fest a fringe festival in Sheffield that celebrates International Women’s Day and I am delighted to be involved. Come down and bring your friends.